I learnt a lot more about framing and taking reflection photos. The course was interesting, imaginative and immense! 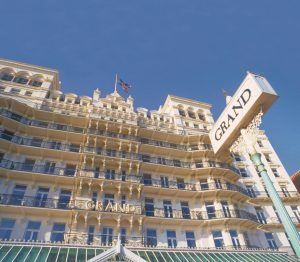 The Grand Hotel was designed and built in 1864, a wonderful example of ornate Victorian architecture. It was built as a luxury hotel and remains the most iconic hotel in the city. The Hotel has easy access by road and rail and is situated directly on the front with uninterrupted views of the beach and sea. 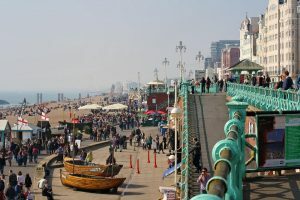 It is a stylish four-star establishment in the heart of the city, with immediate access to the old town, the sea front, the pier and a short walk to Brighton Pavilion. A perfect location to learn photography and enhance your portfolio. The hotel exudes elegance and history. And if you have the time please don’t hesitate to enjoy the hotels food and drink. Drop off is directly at the front facing the Kings Road.